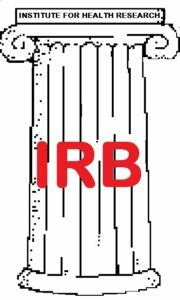 BOTTOM LINE: If you want your clinical trial or study to qualify for publication in a peer reviewed journal you must FIRST have your Protocol approved by an IRB. The work of the IRB, to assure that proper ethical standards are maintained and that the safety and informed consent rights of participants are respected, must occur prior to the start of the clinical trial or study. Our NGO services include helping researchers prepare proper Research Protocols to meet IRB ethical standards.